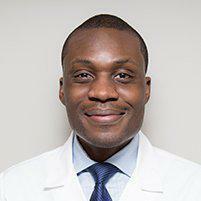 As an experienced cardiologist, Dr. Dele-Michael has established relationships with highly regarded interventional cardiologists in Manhattan, NY, who provide patients with the safest and most effective techniques for angioplasty. 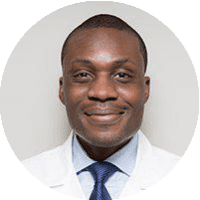 An angioplasty specialist works to open blocked arteries, restore blood flow, improve circulatory health and resolve symptoms associated with artery disease or atherosclerosis. Angioplasty is a minimally invasive surgical technique that's used to help widen and “unblock” narrowed arteries so normal blood flow can be restored. In most cases, angioplasty is performed with stenting, the use of tiny, mesh tubes (or stents) to help hold vessels open once angioplasty has been performed. Angioplasty is commonly used to treat coronary artery disease, carotid artery disease, and peripheral artery disease. What causes arteries to become narrowed? Over time, fats in the blood collect along artery walls, forming plaques. These plaques cause arteries to become less flexible so they don't move blood as efficiently. As plaque continues to build, eventually the flow of blood can become significantly blocked and begin to cause symptoms like swollen feet or ankles, chest pain, dizziness, and other issues. Angioplasty helps by compressing plaque against the artery walls so blood flow can be normalized. Angioplasty cannot be used in all cases of plaque buildup; when buildup is severe, bypass surgery may be necessary to circumvent an artery that's become significantly blocked. A small incision is made into an artery in the groin, arm or neck, and a thin, flexible tube called a catheter is threaded through the artery to the site of the blockage. X-ray or another imaging technique will be used to follow the catheter to determine where it's located as it progresses through the artery. Once it reaches the blockage, a tiny balloon is deployed from the end of the catheter. The balloon is gently inflated, compressing the plaque. When stenting is used, the catheter is also used to deploy the stent, which gently expands to support the artery walls. Finally, the catheter is removed and the incision is closed. The procedure is performed under sedation so you'll be conscious but relaxed.